Now we can say at least this: the Crocs are done and dusted and the Seniors will complete their season against Old Brighton next Saturday. 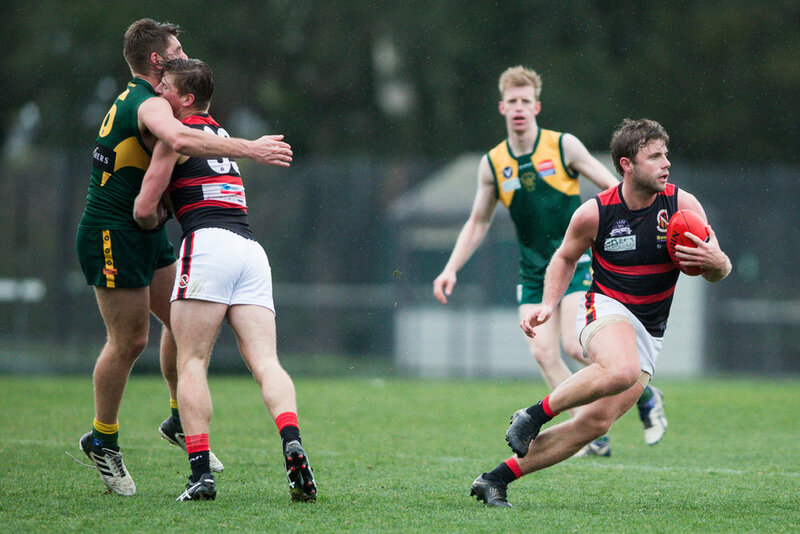 That Toorak Park clash will be Matthew "Chopper" Handley's 250th game for the Red 'n' Blacks. 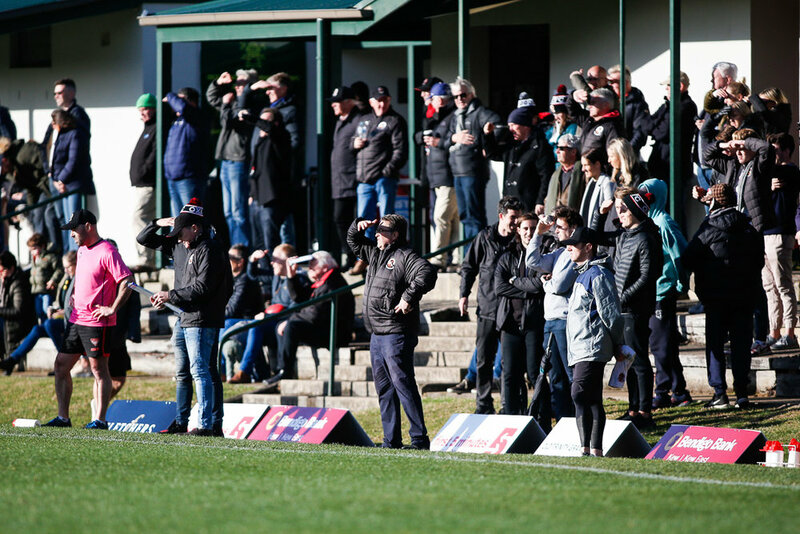 Also, next week will see both U19 teams play semi-finals. The Menages have sealed top seeding in the six-team finals' series, and will have a bye in the fist week of the playoffs. The U23s can enjoy the same respite should they run SKOB Gold close next week. 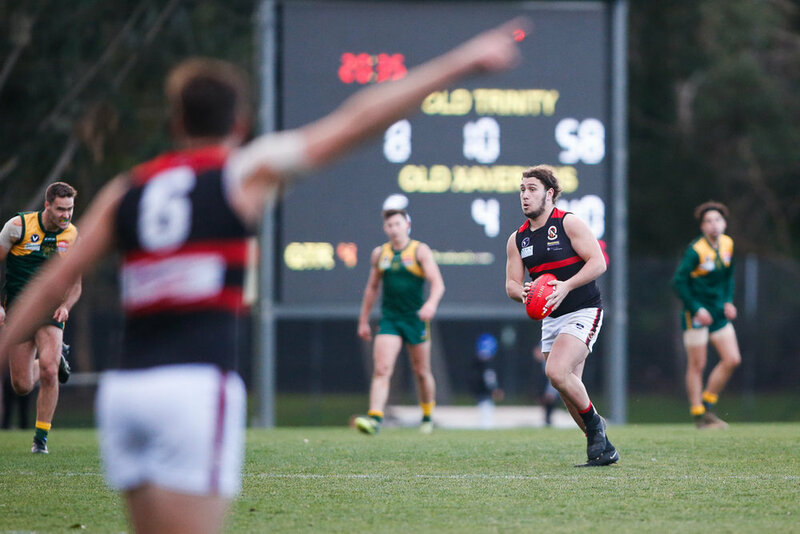 Old Trinity twice survived a Xaverian comeback on the lush Daley Oval today and took the points that cemented them in fourth position. The visitors opened the scoring in the first term through Clay Johnson, who goaled from close range. The Greenbacks had begun the term looking the stronger unit, but could not press home any advantage until late in the term. 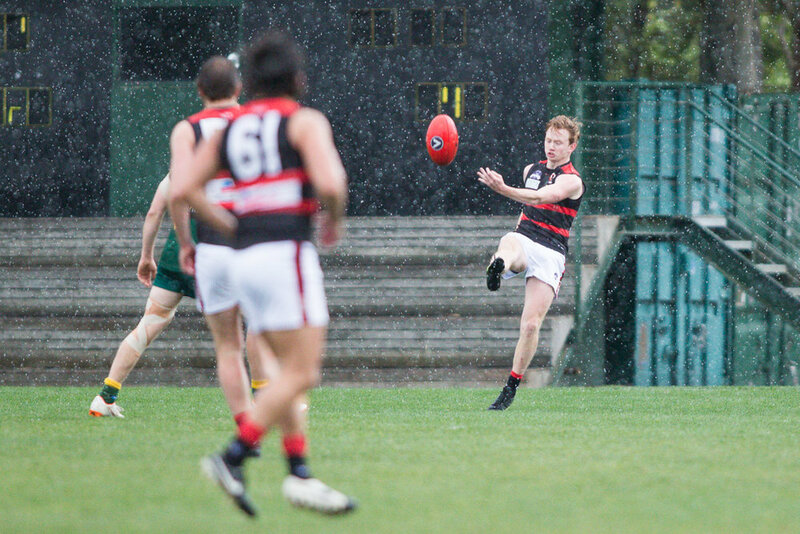 The cross-wind and rain and the saponaceous Sherrin was proving a problem for both teams. In the second, the X Men looked somewhat listless and their only score wasa goal from Lucas Soccio who bounced one through from just inside the arc. 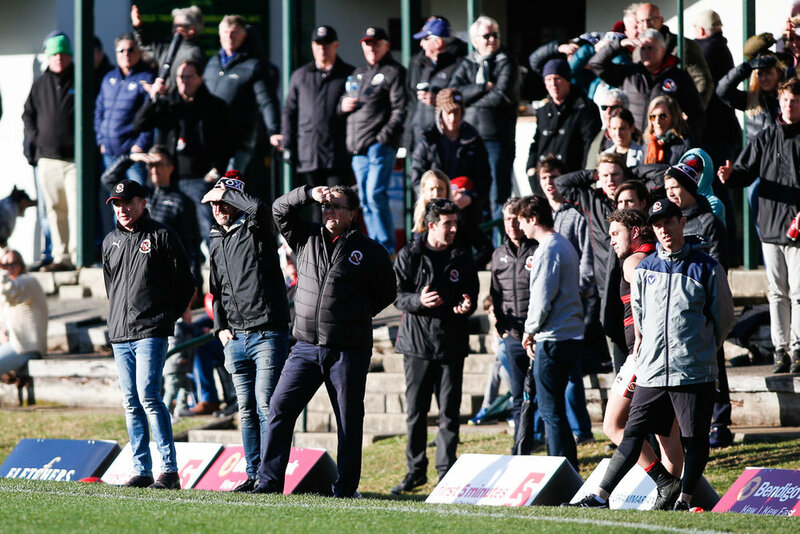 The Ts went to the sheds with the game in their grasp. Despite the low scoring, they had shown more system, more poise and used the space more judiciously. Their run from deep in defence began many of their attacks and only some wasted chances kept the margin tighter than it might have been. The sun came out in the third term and so did the Claret and Stout. After the Ts kicked the first, James Midgley hit the post running towards an open goal. This seemed to spur the visitors into action. 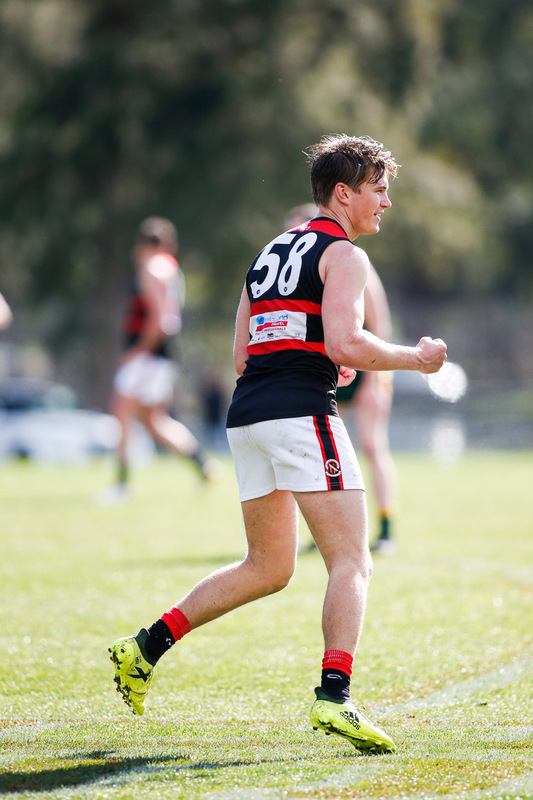 With the defence, led by Dan Noonan and Jordan Kelly holding firm, and some solid running through the middle, Xavs seized the momentum. Midgley goaled twice and suddenly the result was in doubt. They went to the lemons just four points behind. 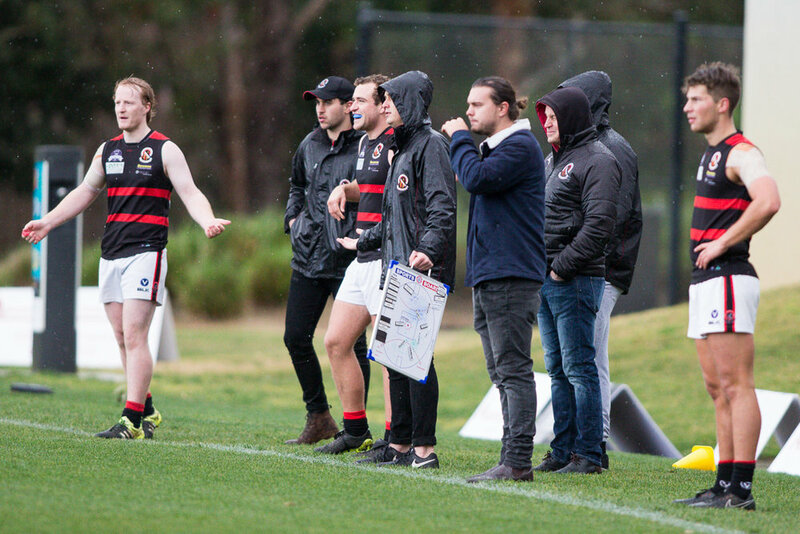 Unfortunately, the Ts midfield took over early in the final term. 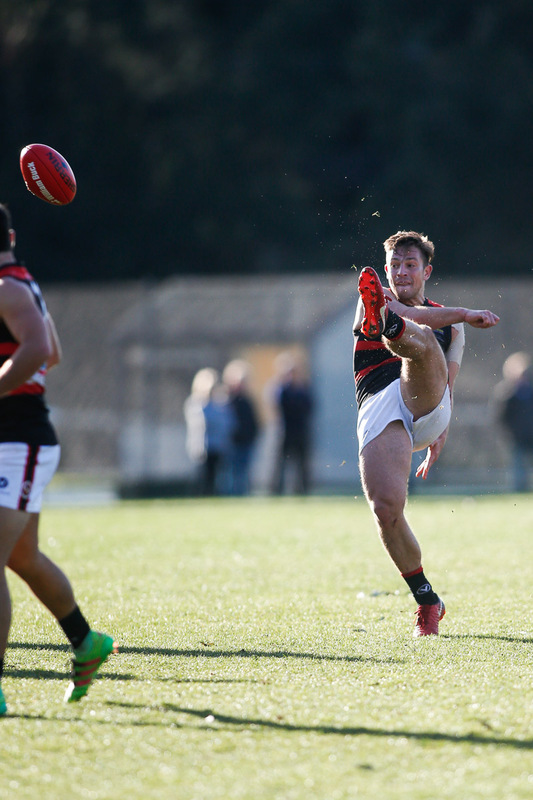 A couple of hits and a couple of misses saw them lead by three goals. 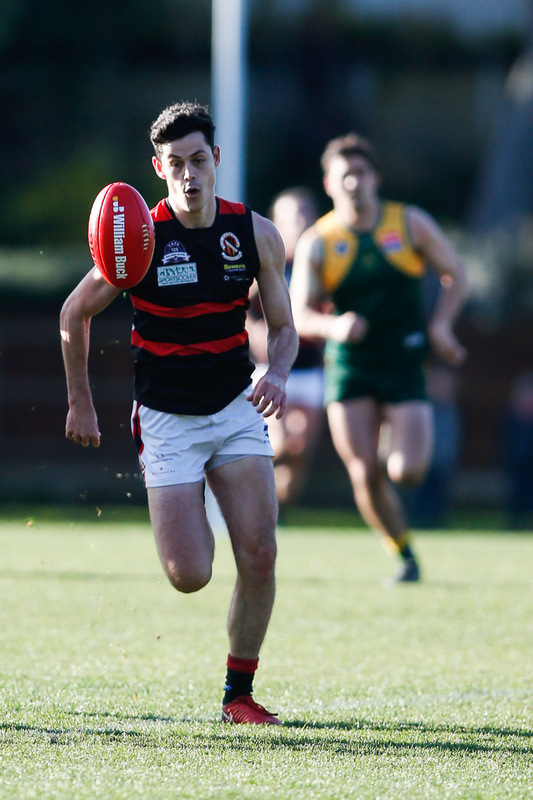 But Chopper Handley hit back with two goals in short space and the Red 'n Blacks looked likely. But the pendulum swung and a chance to level amounted to nought. The Grasshoppers save their most polished for last. With sound foot skills, they powered forward and drove three big nails into the coffin. 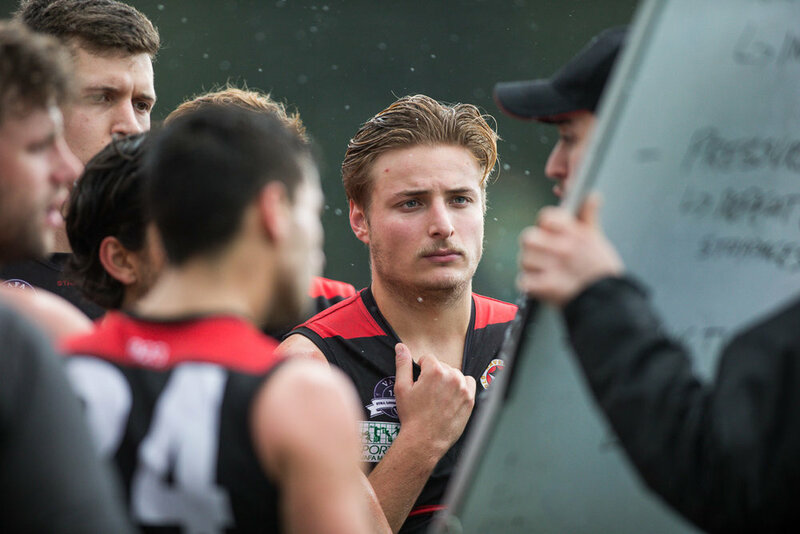 So the Xavs return home for another crack at Old Brighton. 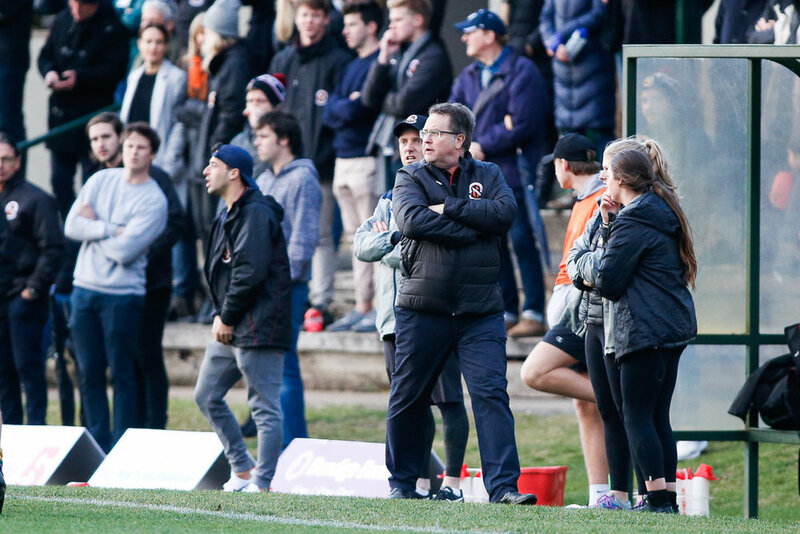 With the club's greatest ever goal kicker playing his 250th and memories of a stinging defeat at Brighton still to vanish, the X Men have plenty of reasons to stay motivated. FINAL FOUR: Settled - Kevs, Collegians, Old Brighton and Old Trinity. 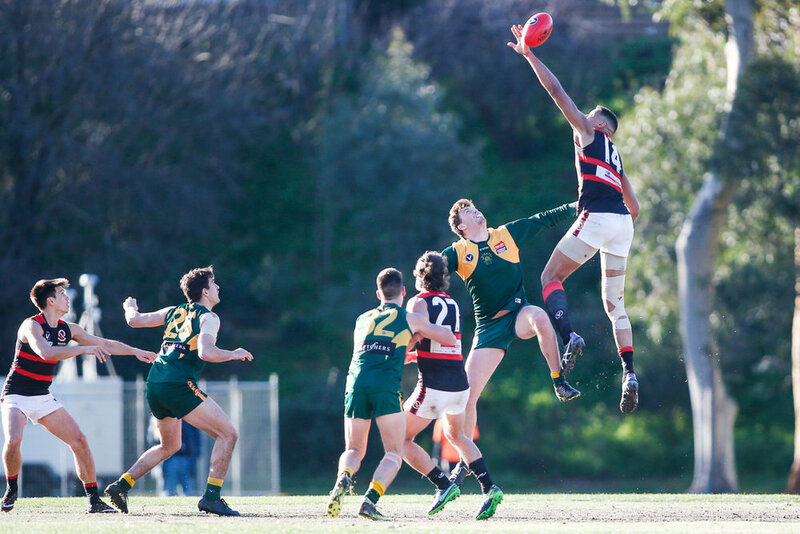 COULD GO DOWN: De La Salle (playing at Brindisi Street) Uni Blues and Old Scotch (who meet at Uni Oval). A win by any of these three will keep them up. If De La and Blues win, Scotch goes down. If De La and Scotch win, Blues go down. If Uni Blues win and De La loses, the Bellers will go down unless their loss is by around 21 points fewer than Old Scotch's losing margin. 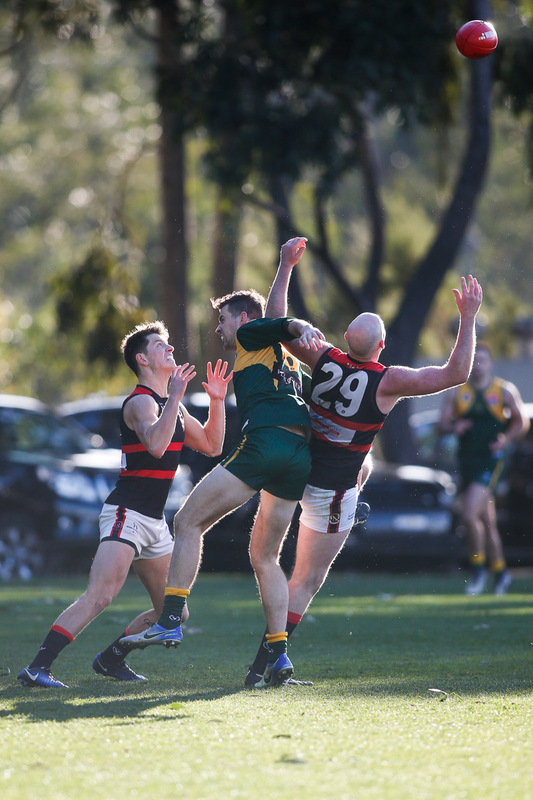 The undermanned Ressies survived a tough challenge by the Greens at Daley Oval today. 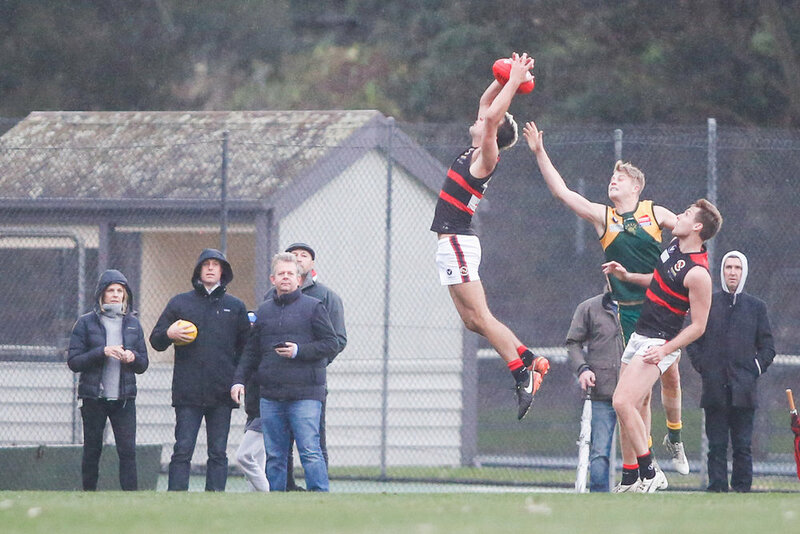 The home team paced the reigning premier and when Xavs developed a mini-break late in the piece, the Hedgeburners kept coming. 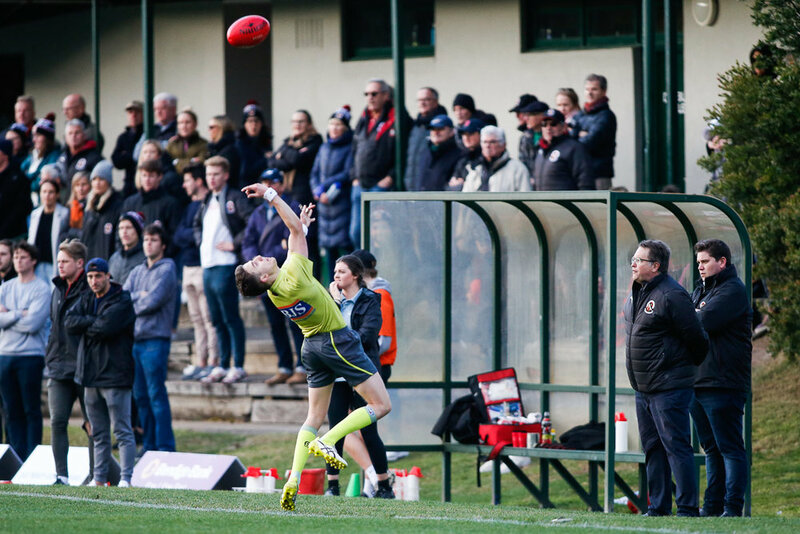 The siren sounded with the ball in the Ts goalface in the umpire's arms. A close shave, but a clean one. Oe ast blast before the finals. 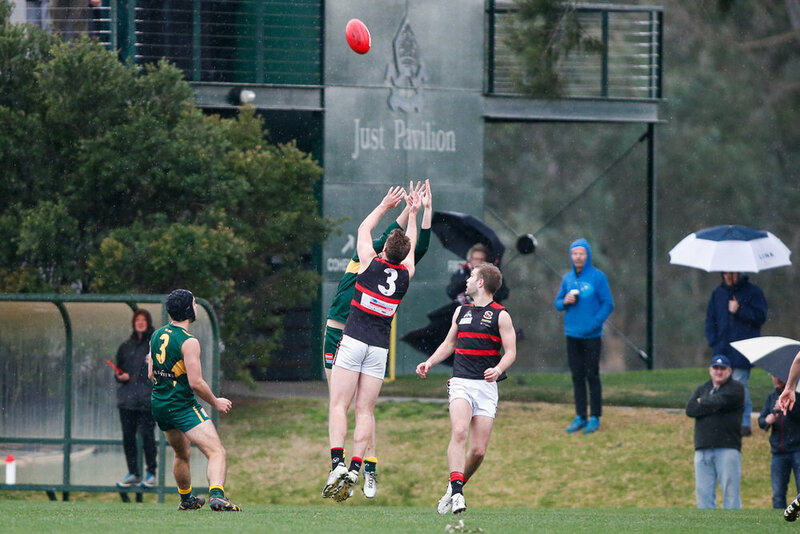 A BOG performance from Andy Cannon and three slots from Fraser Lane saw the ladder-leaders pace the Cardinals at Camberwell today. The Red Men lad at the half, but finished the stronger of two sides to take the points. 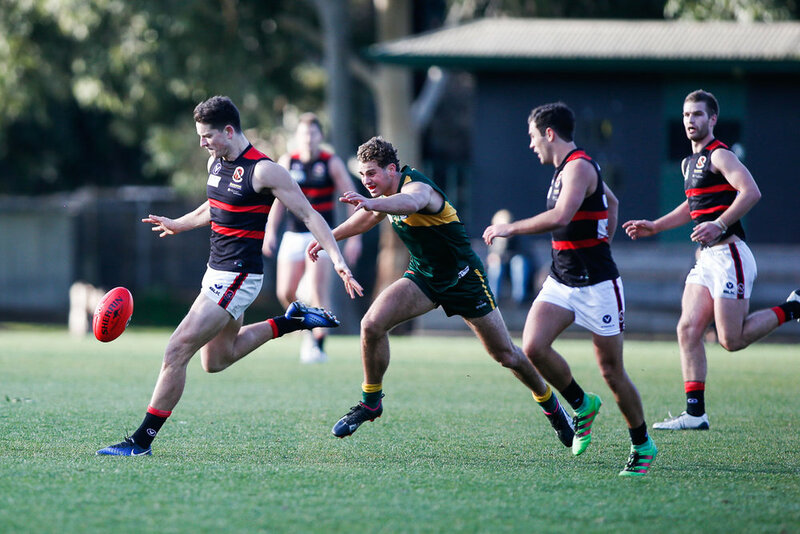 Harry Kelly booted five and Alex Bielinski was best afield as Healy's Heroes romped over St Bernard's at West Essendon. 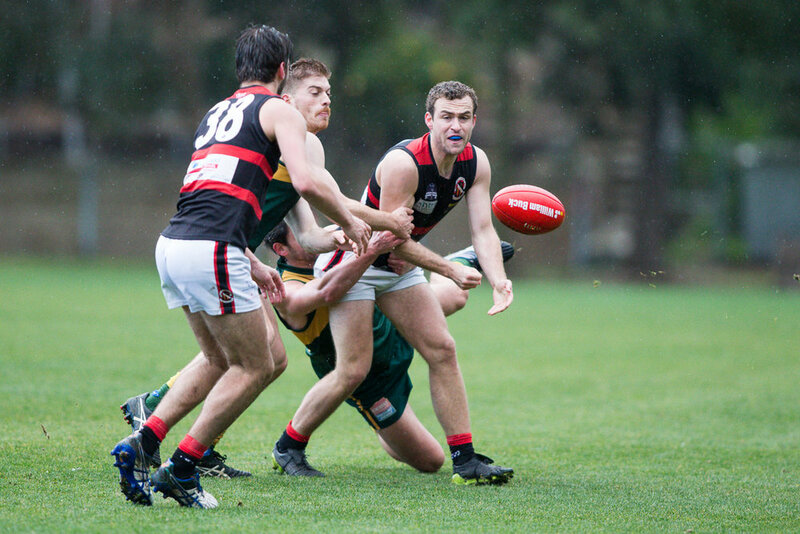 Despite fielding the greying champion on=baller Danny Byrne, who tore up many a VAFA Premier and WAFL team in his salad days, the Dogs were powerless to stop the Reds, who booted seven goals in each of the two opening quarters. 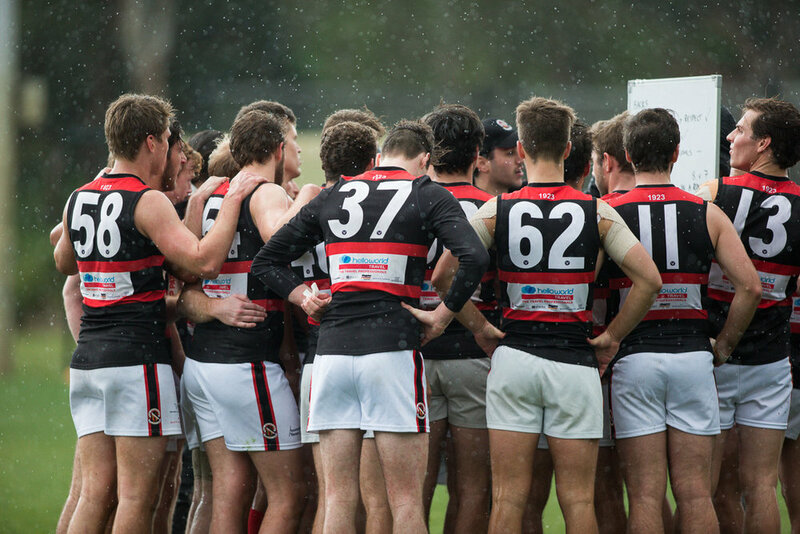 De La Salle came home stronger to seize the points at Stradbroke Park today. 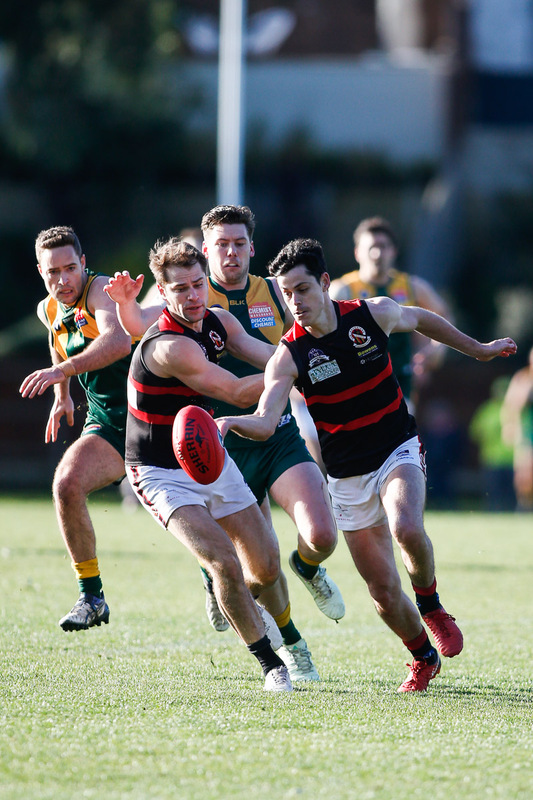 Four goals to none in the final stanza was enough for the minor premier to overcome the Red 'n' Blacks. 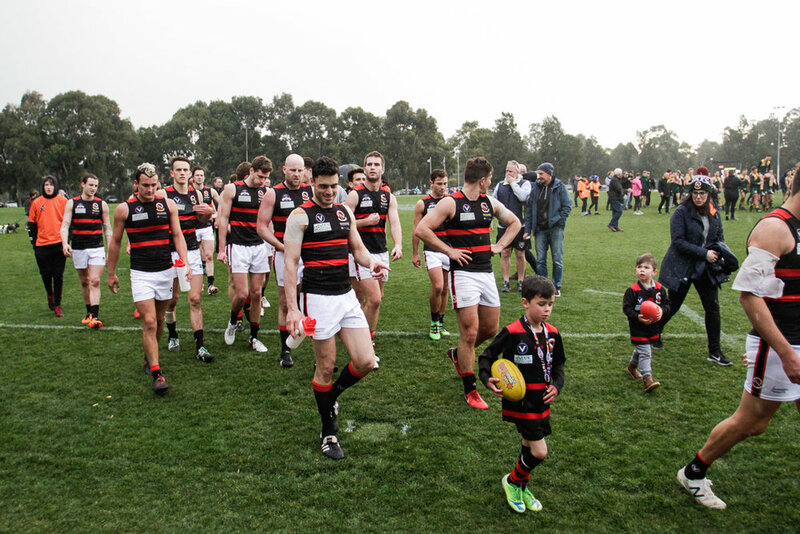 Though the loss cost Xavs second spot, there could be a rematch in the next couple of weeks. And a very different result. 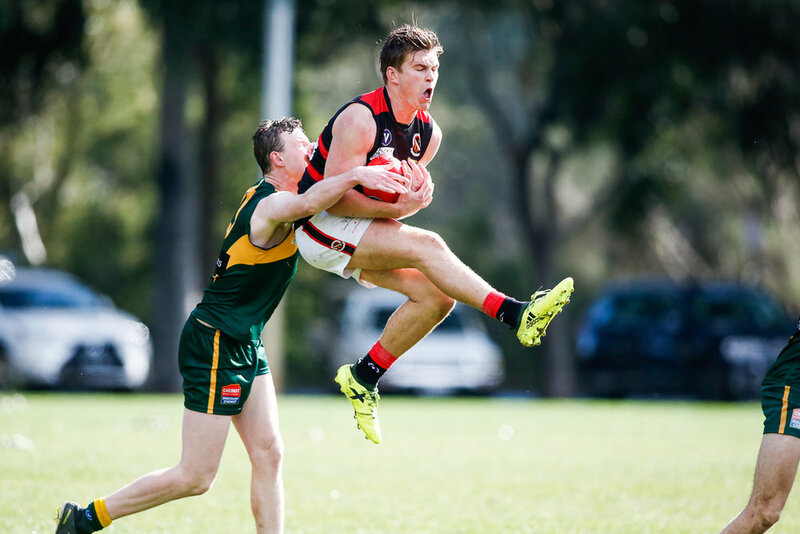 The U19 Reserves finished their home and away season with another win, this time against old rival Scotch, whom they will play in next week's second semi-final. Seven wins on end before the finals was a brilliant effort considering the many absences through the season. 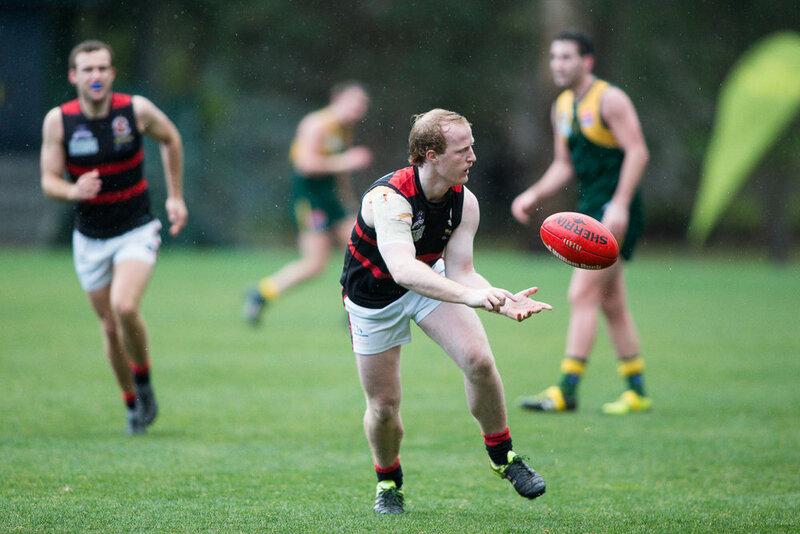 Despite a great final term from the Red Men, the Xavs held on to win by four points with Rich Beaton getting the nod for best afield. 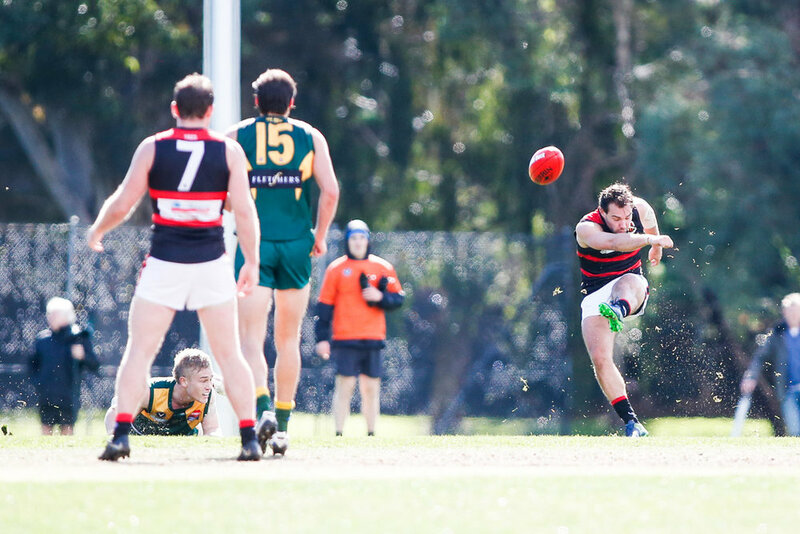 The Crocodiles fell heavily to MHSOB in the preliminary final, ending a season of disappointment. Ravaged by injury and often unable to field a full squad of 24, the Diles limped into the finals and to the surprise of few, went out in straight sets.